20 years of development means that there’s a lot to look forward to with the new Mercedes A-Class. It’s been through various iterations since the turn of the millennium, marking innovative milestones with each release. Today, we’re on the fourth generation, which succeeds the 2012-2018 model. Thankfully, the third is an easy act to follow, which was not without style, but no match for its competitors. The 2019 generation will give penny-pinching drivers access to a range of economical cars. In terms of engines, we have the entry level 1.3 litre engines: the A180 and the A200, with 116BHP and 163BHP respectively. Over in the diesel camp, there’s the A180d with a 1.5 litre engine and 116BHP. Move up through the range, however, and there’s the A200 and A220d with up to 190BHP. 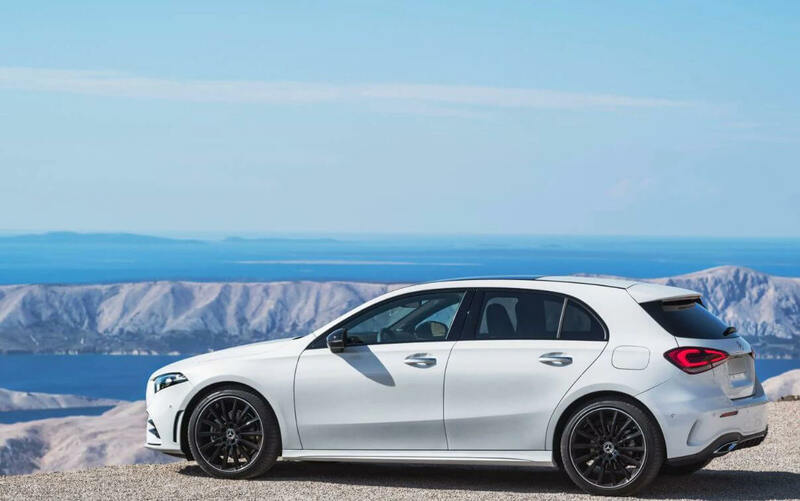 All of the above are available as an executive Mercedes-Benz A-Class AMG line, but where it really gets exciting is the 2019 hatchback. The AMG A35 screams from 0 to 62MPH in 4.7 seconds, and packs an incredibly impressive 306BHP. At present, all models come with a seven-speed automatic gearbox, though there is the option to use the manual paddles too. For a vehicle model that was rated the safest car in 2018 by Euro NCAP, it’s no surprise that technology continues to impress and hold driver security in the highest regard. For example, there’s no awkward fumbling trying to fiddle with the sat nav: instead, it is powered by voice-activated technology. Ask the A-Class what time you’ll arrive at your destination, and it will tell you. There’s also the active lane assist which, at times, can seem a little too safety-conscious on smaller bends. However, this is easily rectifiable with a simple on-screen shortcut. Sadly, the optional adaptive dampers are as yet only available in Germany, but we suspect these will be available as soon as the rumoured electric version hits the roads. 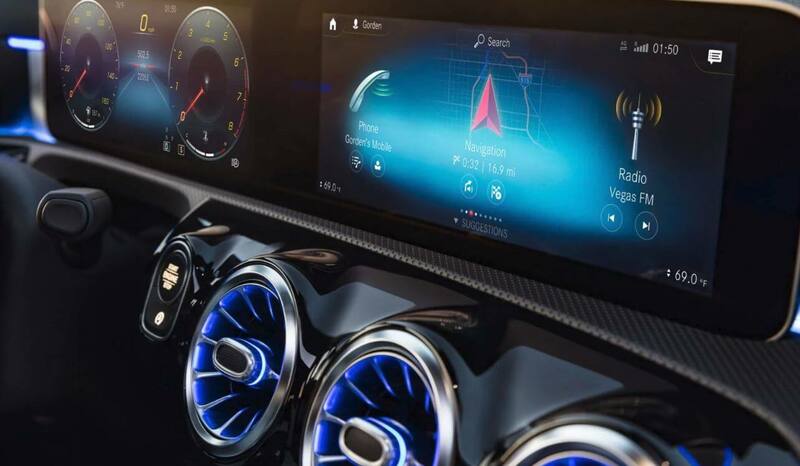 In terms of other interior technology, there’s a lot to play with. The infotainment system is enhanced when you upgrade to the 10.3-inch screen, but this is not to say there’s no fun to be had with the entry level 7-inch screen. There are touchpads on the steering wheels and between the seats, making for easy customisation while driving. We have two USB ports for device charging as standard, but if you’re feeling really fancy, upgrade to the augmented reality navigation. This is a live feed of the road which displays house numbers, road names and even direction arrows: it’s like a sat nav 2.0. Drivers are made to feel safe once again with a 30% improvement on visibility, while seats can be adjusted manually to suit your frame. Truly, the A35 hot hatch is the most fun to drive of all the models, but let’s not discount the more environmentally friendly ones. Generally, you’ll find it cruises very comfortably on long drives, even if some models are a little slow on overtaking (we’re looking at you: A180d). At times, it doesn’t feel as if it can accelerate as fast as it promises, but there is an overall feeling of safety thanks to its responsive steering. Is the new Mercedes A-Class rear wheel drive? The A-Class becomes all-wheel drive from the 220d, but besides this, it is still a little dated in that it is a front-wheel-drive car in all lower-end models. However, it handles very well, and in higher-end models, offers multi-link suspension. When did the new Mercedes A-Class come out? After being unveiled at the Geneva Motor Show, the new A-Class is out now. It’s already been named as Car of the Year, and with its predecessor winning awards for safety, we suspect there’s a lot more in the pipeline. 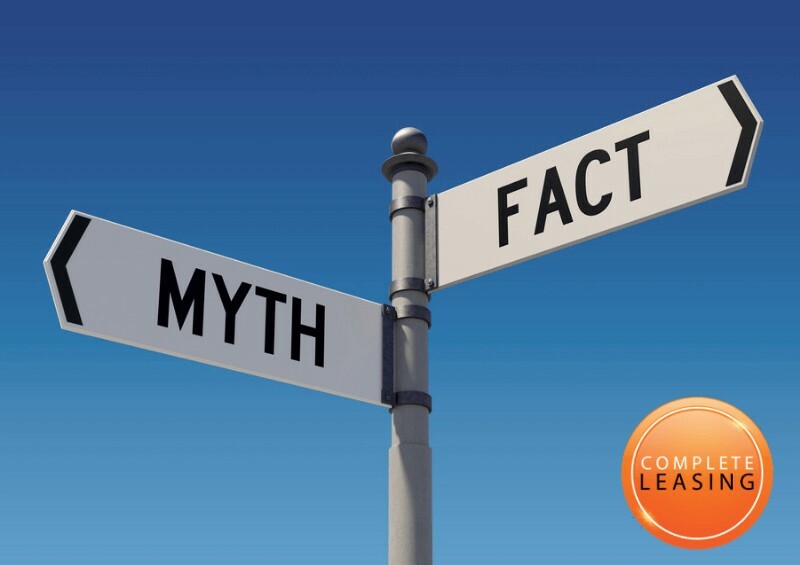 If you are after a comfortable, economical and safe commuting car, you can’t go far wrong. We’re also excited to see what will come from the electric or hybrid models! How much is the new Mercedes Benz A-Class? 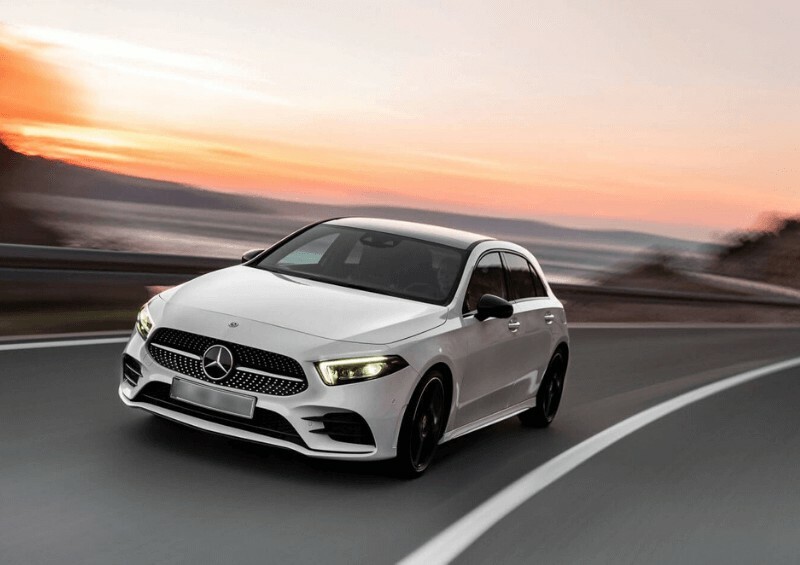 To buy outright, the Mercedes A-Class price starts from £22,855, while you can find a Mercedes A-Class lease from just under £300 per month on a personal lease, or just under £280 (plus VAT) per month on a business lease. If you are after the higher end models, which can top £38,000 to buy outright, then you’ll be looking at a higher lease price of around £500 per month on personal contract hire (for the A35) or around £400 (for the A220). 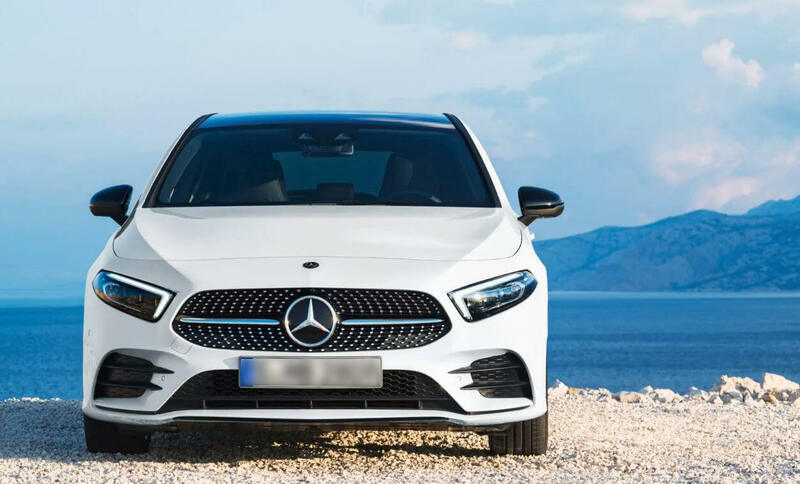 For more information on leasing a brand new 2019 Mercedes A-Class, don’t hesitate to get in touch with us at Complete Leasing today! We’ll do our utmost to find a deal that suits your exact preferences and budget.